Fjaerland is the district surrounding the Fjaerlandsfjord, a branch of the Sognefjord. Fjaerland has almost 300 inhabitants, and is part of Sogndal municipality. 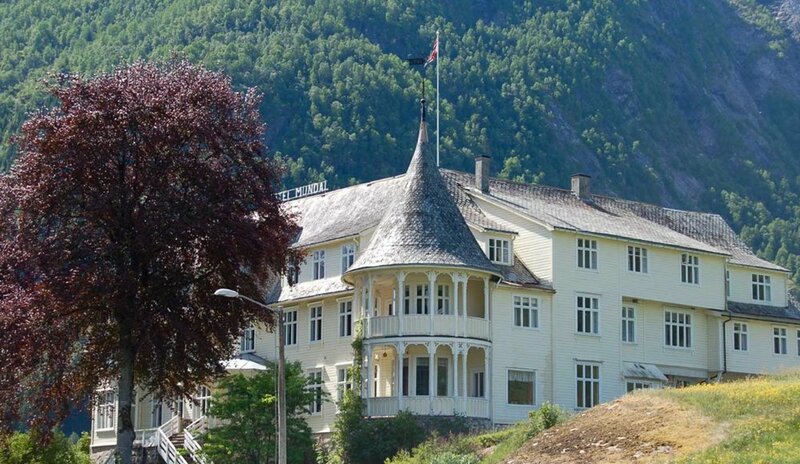 The centre of Fjaerland is Mundal, about 3 km from the main road, down along the fjord. Most people in Fjaerland are engaged in farming and tourism. The area has been settled since the Viking Age, but there are finds dating back to the late Stone Age. The size of the population has varied over the years. Large scale emigration to America took place at the turn of the century. Mundal includes primary school and church, as well as shops, hotels and other services. The church is from 1861, rebuilt in 1931. It is open to the public. In Mundal you also find The Norwegian Book Town with several picturesque second-hand book shops. The Book Town opened in 1996, being the eighth booktown in the world and the first in Scandinavia. The farms are large and easy to run compared to most farms of Western Norway. Soil quality and climate are particularly good for milk and meat production. All the valleys in Fjaerland have mountain pastures, so called 'støl' or 'sæter'. These are reached by path or cart road. Few of them are in use today. The landscape in Fjaerland has been shaped by glaciers through successive ice ages during the last 2,5 to 3 million years. Towering mountains and U-shaped valleys surround large delta areas which results from the accumulation of sediment supplied by the glacier rivers. The glaciers Bøyabreen and Supphellebreen come down to the valley floor in Fjaerland. These are branches of Jostedalsbreen - the largest glacier on the European continent (474 km²). The ice falls of the glaciers is gliding down the mountain side with a speed of 2 metres per day - among the fastest in Norway. Supphellebreen, at an elevation of 60 m, is the lowest lying glacier in Southern Norway. Parts of Fjaerland lie within Jostedalsbreen National Park. The National Park covers 1230 km² and is characterized by great variation within short distances, from fjords and lowland, to mountains and glaciers. Jostedalsbreen has been in use as a transport route for several hundred years. One of the most popular routes at the southern part of Jostedalsbreen is between Lunde and Fjaerland. The Bøyaøyri (yes, that's five consecutive vowels) estuary at the head of the fjord is a protected nature reserve, due to its part in bird migration during the spring and autumn. 100 species have been observed and approximately 50 of them nest in the area. Most of the trade is directed towards tourism, which has long traditions in Fjaerland. Over the past 100 years travellers have come to see and explore the fjord, the mountains and the glaciers. Fjaerland - an international travelling destination for more than 100 years. In the early years numerous cruiseships brought tourists to Fjaerland, where they travelled by horse and carriage to the glaciers. Today these round-trips are made by bus. Several cruise ship visit Fjærland every summer. Especially the magnificent nature, the stillness, the glacier and the good hiking conditions continue to delight the visitors. The path from the Supphelle Valley up to the hut Flatbrehytta is the best gateway for hikers to the glaciers. In addition, the local sports association has marked 10 other trails, from easy 1/2 hour walks to more strenuous walks for 5-6 hours. In Fjaerland you can also learn more about the glaciers and nature at the Norwegian Glacier Museum. Until 1985 the only way to get to Fjaerland was to travel by boat on the Fjaerland Fjord. In 1986 the road north to Skei was built. It was opened by former U.S. Vice- President Walter F. Mondale, whose family and name originated in Mundal in Fjaerland. In 1994 the road was continued south to Sogndal making Fjaerland easy to reach from both north and south. 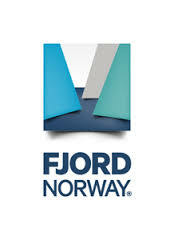 Today daily buses connect Fjaerland with, among others, Oslo, Bergen, Flåm, Sogndal, Stryn and Førde. In the summer a passengerboat Fjærland - Hella - Balestrand also connects with ferry/boat to Vangsnes/Vik and express boat to/from Bergen and Flåm. In Fjaerland a bus connects with the passengerboat and take you to the prize awarded Norwegian Glacier Museum. From the museum the bus continues to the glaciers, before it brings you back to the dock. For info on timetables check www.kringom.no. The video above is made by Live Henriette. Instagram @livehenriette, Youtube LiveHenriette and Facebook Livehenriette.com.